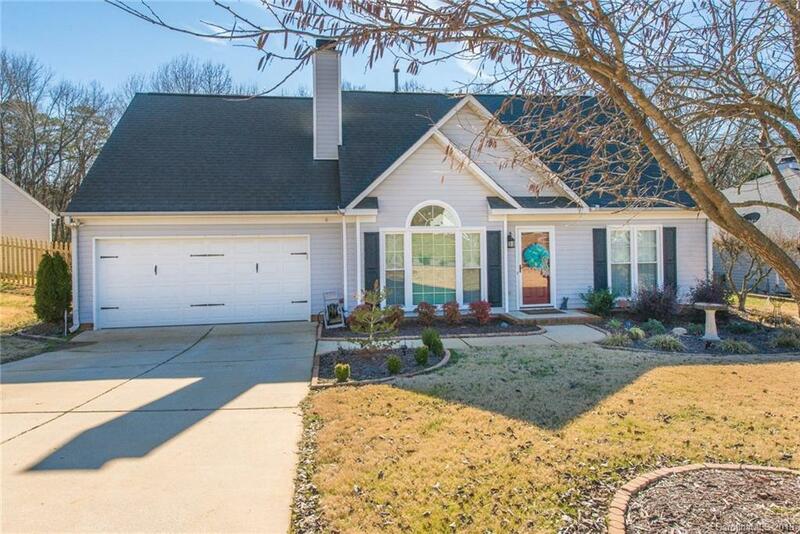 Beautiful home in Weddington Woods with so much to offer! The upgrades and attention to detail are amazing. Upon arrival you will notice the inviting curb appeal with the meticulously maintained lawn. As you enter the home, the vaulted ceilings in the living room & upgraded molding throughout will wow you and your guests. Main level features wood flooring in the living room, dining & master bedroom. Master bath has been remodeled with tile floor & large walk in shower. Spacious kitchen has granite and stone counter tops with white cabinets. Additional cabinets and counter space have been added for extra storage and counter space. This is a great area for entertaining as well. Spacious bedrooms and bonus room upstairs are perfect for a home office. Large screened in porch overlooking the completely fenced in private back yard. Perfect space to enjoy a morning cup of coffee or for afternoon/evening entertaining. So much more to this home, see list of additional upgrades!